The hypothetical site for the 2018 Tapestry Design Prize for Architects is Boullée’s mooted building that was inspiration for the Pharos Wing, MONA, Tasmania, Australia. MONA was designed by Fender Katsalidis Architects to house David Walsh’s extraordinary collection of old and new art. That’s from the Wikipedia article on Étienne-Louis Boullée. Those around me, my staff, friends and sycophants, call me a visionary to my face and a megalomaniac to each other. Megalomaniacs have, as their biological brief, a desire to do things that can’t be done. So in Pharos, we brought some masters of caprice together. I’d like to put them in a room together. Until Nonda and his mates started talking about Boullée I’d never heard of him. We have now built a wing of Mona called Pharos, and parts of that wing are both a paean to, and in thrall of, Boullée’s grandiose Cenotaph for Isaac Newton. Images 1 - 2: Étienne-Louis Boullée, Cenotaph for Newton. Images 3 - 4: Unseen Seen, 2017, James Turrell. Images courtesy of the artist and MONA Museum of Old and New Art, Hobart, Tasmania, Australia. 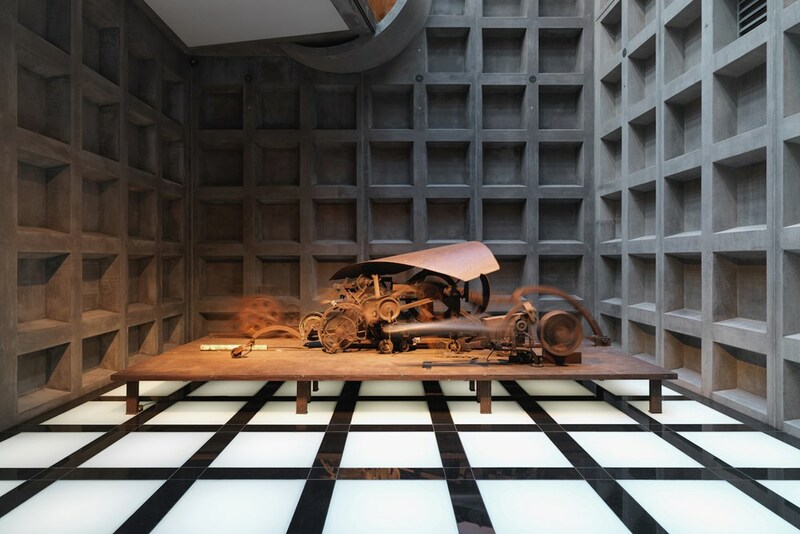 Elsewhere in Pharos is a thrashing machine of Jean Tinguely. Tinguely also harnessed geometry, but then let it loose. Both abstracted geometrical elements for whimsy. What would have happened if they collaborated on a design that, in true Boullée style, was unconstrained by the requirement that it be constructable? The site for the TDPA 2018 is Boullée’s mooted building that was inspiration for the Pharos Wing, MONA. The tapestry could potentially be hung on the wall behind James Turrell’s Unseen Seen, 2017. More information about Pharos can be found here and here. Images courtesy of Fender Katsalidis Architects and MONA. Image courtesy of Fender Katsalidis Architects and MONA. A PDF of images of the site, floor plan & background information can be downloaded here.